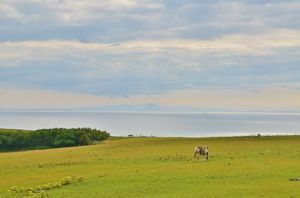 How often do properties like Seagrove come to the market, the answer we believe is not very often. 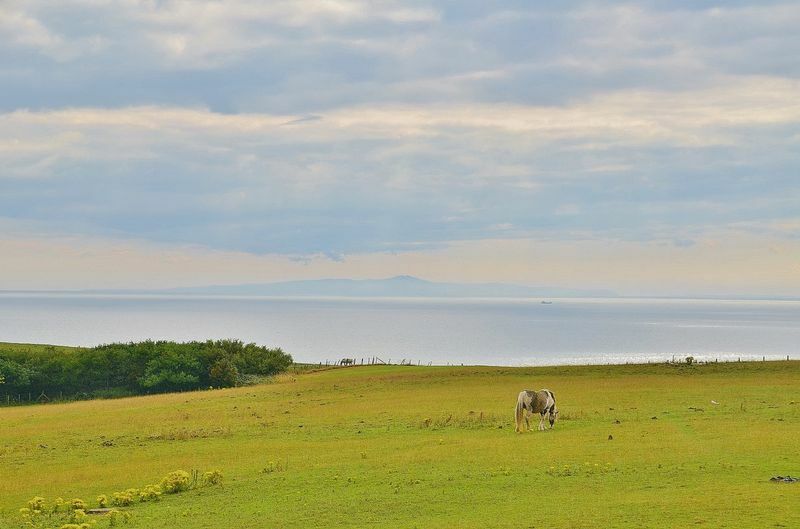 Boasting elevated, panoramic views across Whitehaven, the harbour and over the Solway Firth with the Isle of Man and Scotland visible in the distance this is certainly a home for someone who appreciates something special. 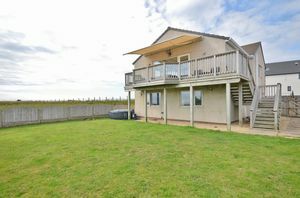 The property has been finished to a high standard and is in an immaculate condition throughout. 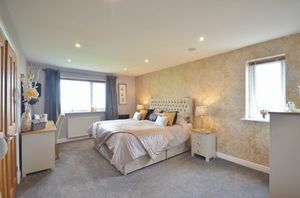 The property has also been tastefully decorated from top to bottom. The property is located on the outskirts of the quiet village of Lowca and has excellent transport links via the nearby A595 which provides easy access to Whitehaven, Workington, and Cockermouth. 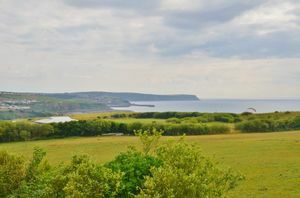 The property is designed to make the most of the sunning views with the lounge and kitchen/diner being on the first floor. The property has a hallway and stairs leading to the first floor where there is a stunning open plan kitchen/diner with integrated appliances. 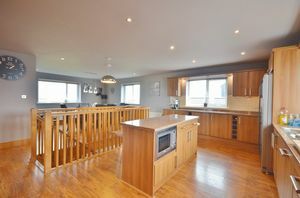 The kitchen/diner opens up to a large lounge which boasts a large elevated balcony with electric canopy. 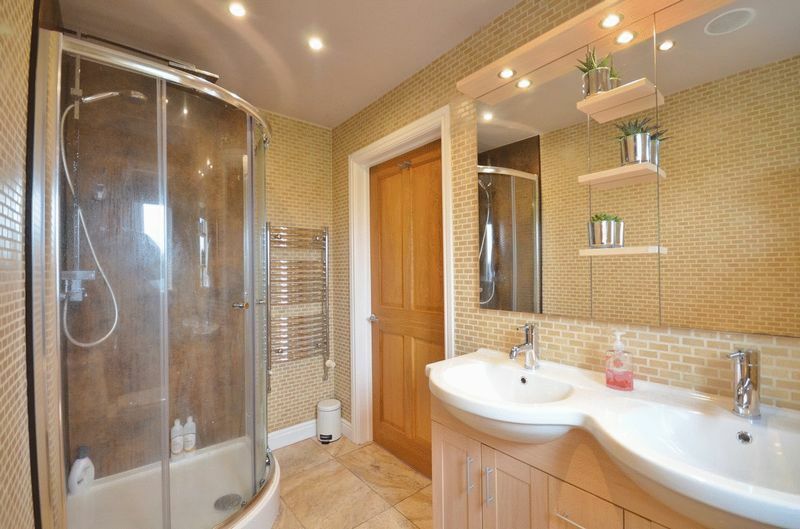 There is a also stylish shower room on the first floor. 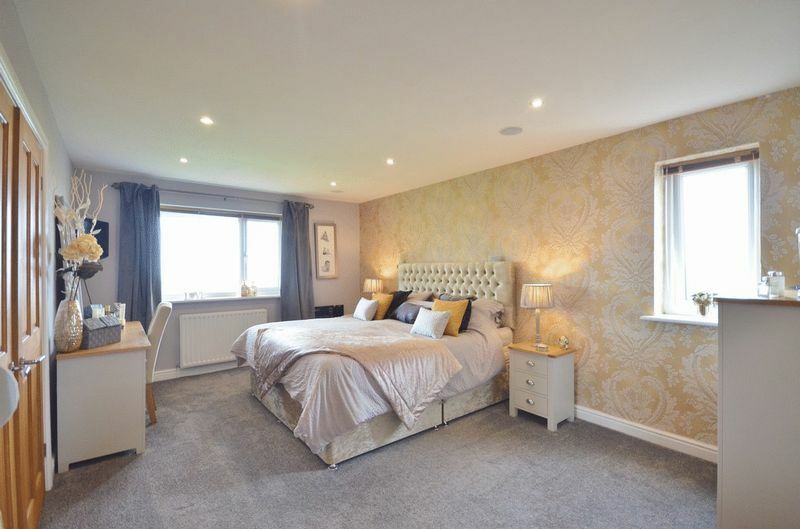 On the ground floor the hallway leads to four double bedrooms, two of them benefiting from built in wardrobes and the master having an en suite. The main bathroom is also located by the bedrooms as is the utility room. The property has a detached pitched roof garage, spacious drive and well maintained garden. 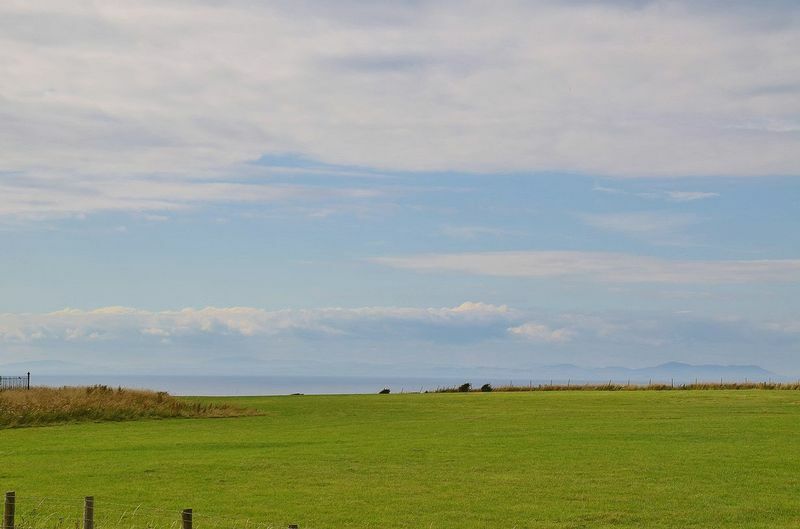 To fully appreciate the views and the property we highly recommended viewing as this is truly the only way to grasp the views and appreciate this lovely family home. The spacious hallway is entered through a composite door with twin frosted side panels. There is laminate flooring, power points, phone point, understairs storage area and a single panel radiator. 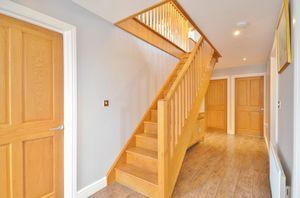 There are the stairs to the first floor and the hallway also leads to all four bedrooms, bathroom and the utility room. The stairs lead to the open plan kitchen/diner with the top of the stairs centralised within the centre of the room and has an attractive wood balustrade. What a view is on offer from this very spacious room. 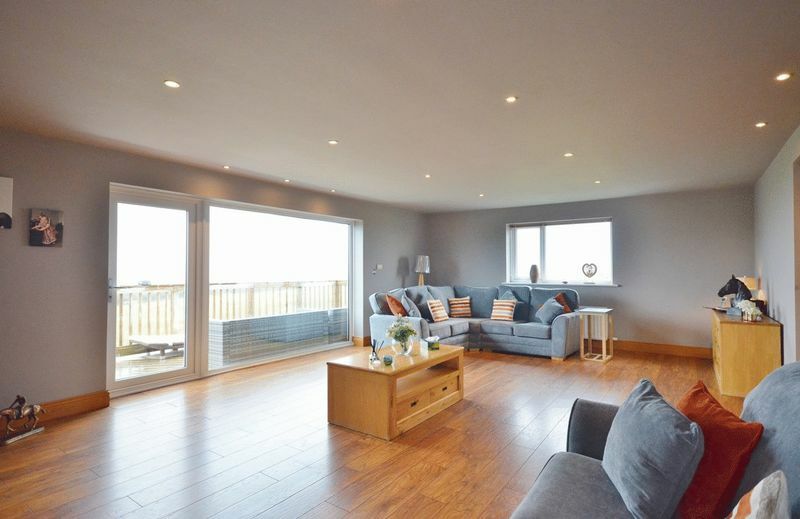 This lovely room boasts delightful views towards Whitehaven harbour from the large uPVC triple glazed window which has a fully glazed side door which leads out onto the balcony. 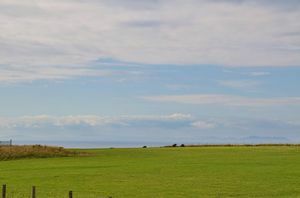 There are two other uPVC double glazed windows which provide additional light and one of those windows offers views towards Scotland and the Isle of Man. 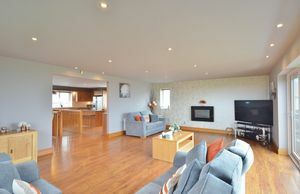 In the lounge there is a large, modern wall mounted log effect electric fire. 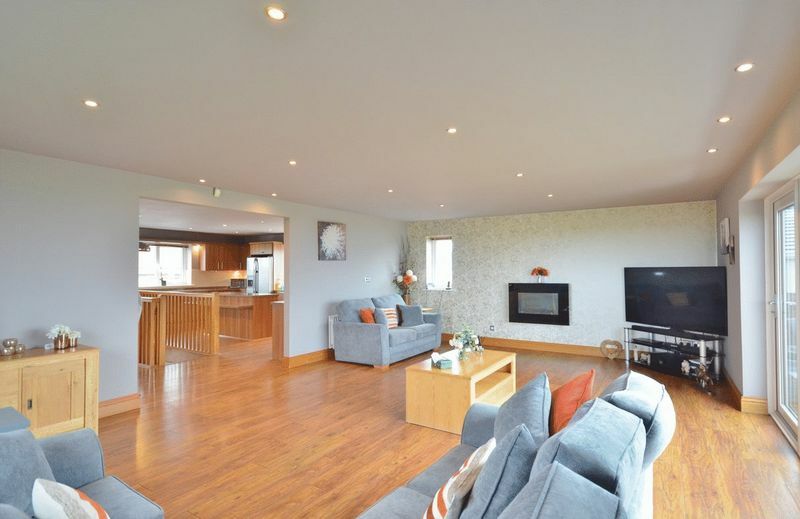 There is a TV point, phone point, sunken ceiling spotlights and laminate flooring. 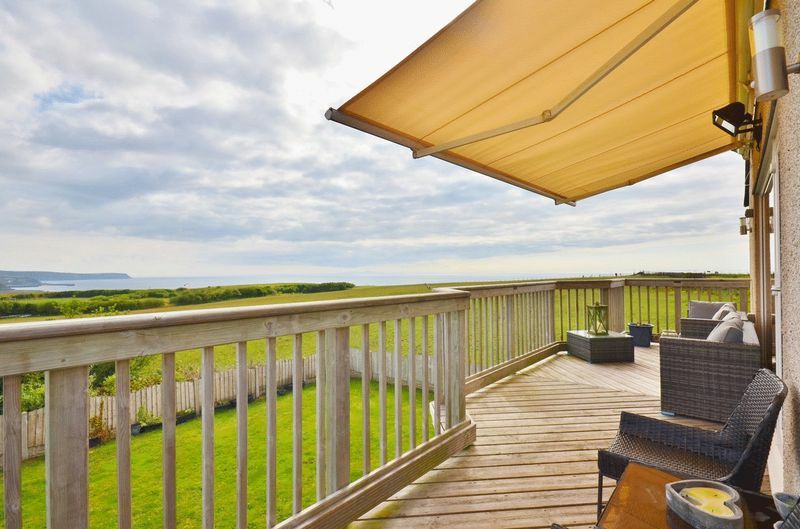 Certainly not your average balcony or average view. This large, bespoke balcony stretches the length of the rear of the property providing plenty of seating space and boasts elevated views across Whitehaven, the harbour/marina and our across the sea with the Isle of Man visible in the distance. There is a large retractable canopy which is remote controlled. To the side of the balcony there are steps leading down to the rear garden. 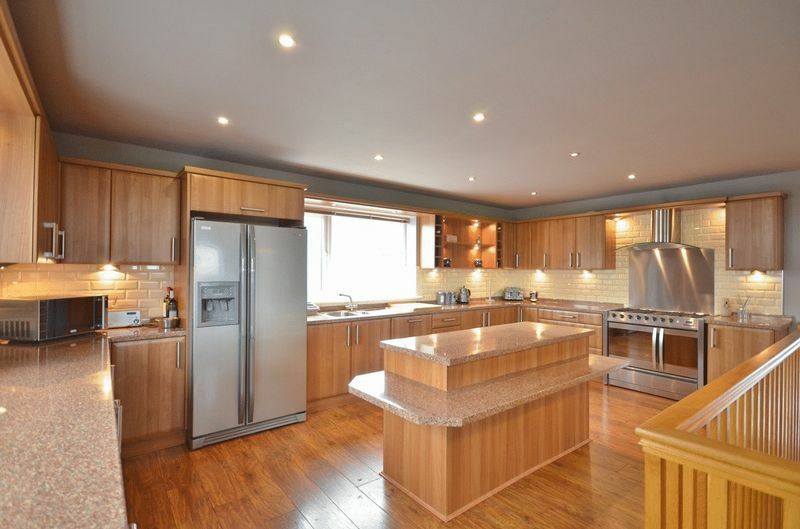 This most eye catching of rooms boasts a stunning fitted kitchen and plenty of space and natural light. There is a range of wall and base units with a worktop with matching upstands. 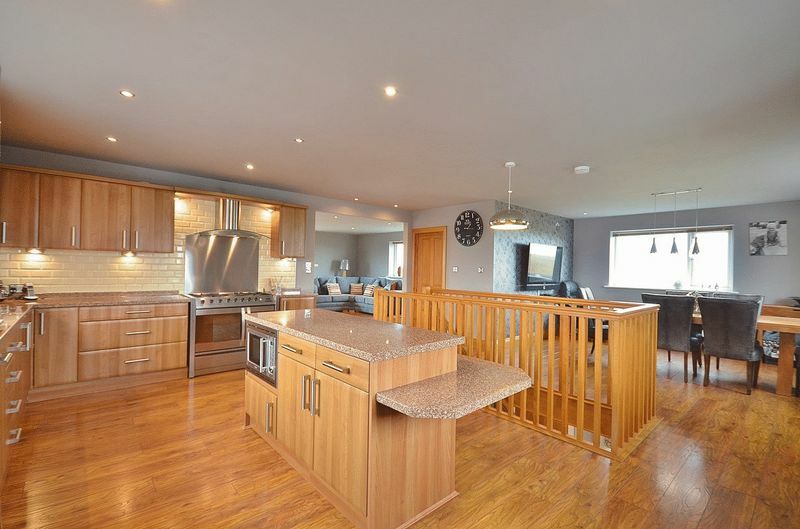 There is a island with built in breakfast bar, cupboards, drawers and integrated microwave. Two door range cooker with a five ring gas hob with a stainless steel splashback and a curved stainless steel extractor canopy above. Three wine racks, plumbing and space for an American style fridge freezer. Stainless steel sink 1.5 with drainer board and mixer tap. 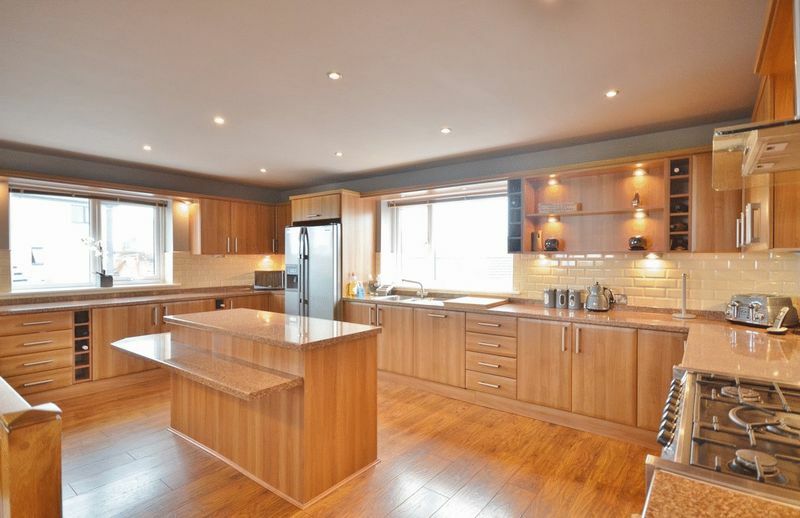 Integrated dishwasher, sunken ceiling spotlights, undercupboard lighting, laminate flooring, two double panel radiators and four uPVC double glazed windows providing plenty of natural light. There is plenty of space for a large family sized dining table and chairs. 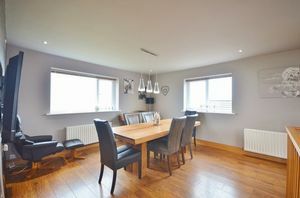 The dining area also has connections for a flat screen wall mounted TV. 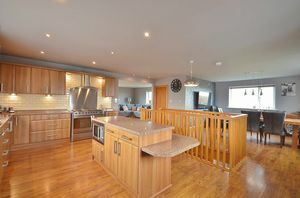 The kitchen/diner opens up to the lounge. Immaculate room incorporating a shower cubicle with body jets and twin sliding doors. Hand wash basin with mixer tap over a vanity unit. WC, tiled splashbacks, chrome heated towel rial, Karndean flooring, sunken ceiling spotlights, extractor and a uPVC double glazed frosted window. 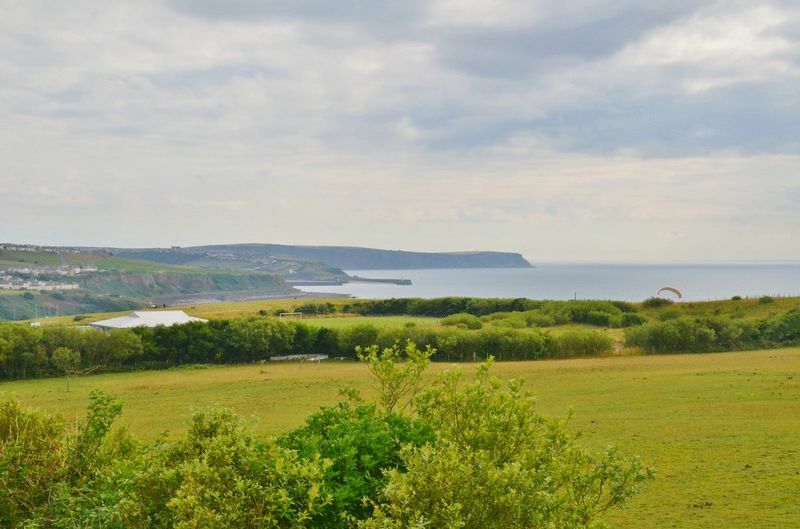 Large double bedroom which has sea views from the uPVC double glazed window. There is a two door built in wardrobe, sunken ceiling spotlights, TV point, phone point, double panel radiator and leads to the en suite. 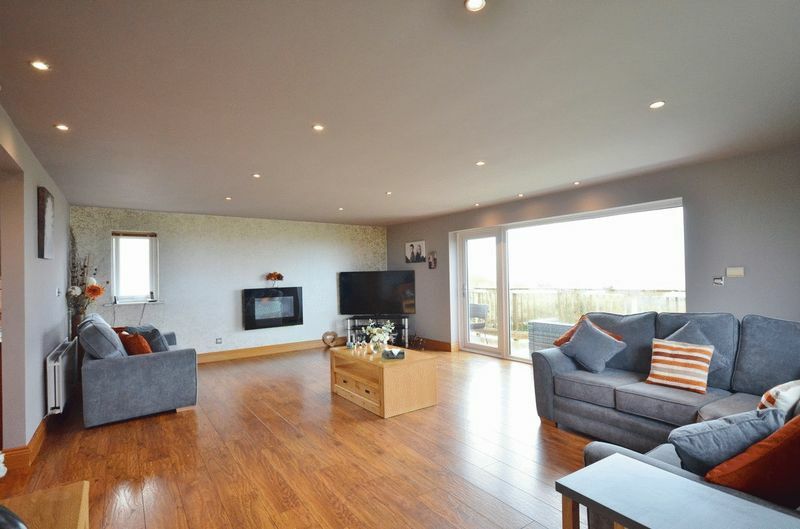 There is a second uPVC double glazed window providing additional natural light and looking out onto fields. 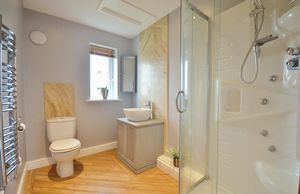 Lovely en suite comprising of twin wash basins with mixer taps, set on a vanity unit with mirror, shelving and lighting above. Shower cubicle with twin sliding with both monsoon and hand held shower head. 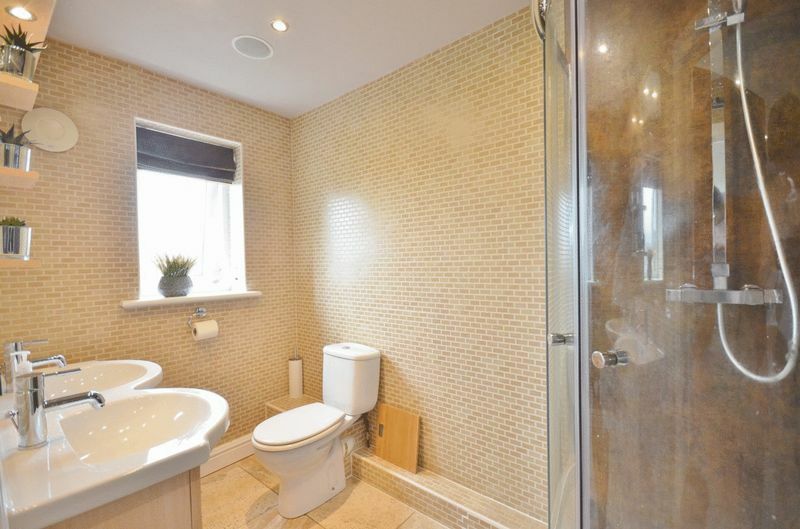 WC, chrome heated towel rial, fully tiled walls, tiled flooring, extractor and a uPVC double gazed frosted window. 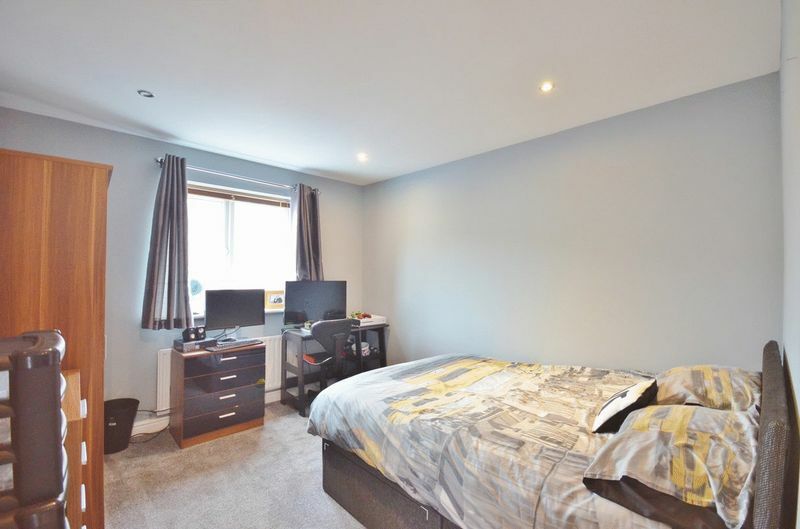 Spacious double bedroom benefiting from a two door built in wardrobe, sunken ceiling spotlights, double panel radiator and a uPVC double glazed window enjoying sea views. 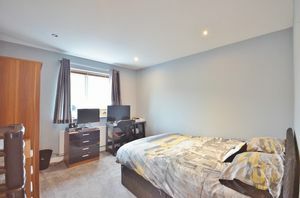 Double bedroom with a single panel radiator and a uPVC double glazed window. 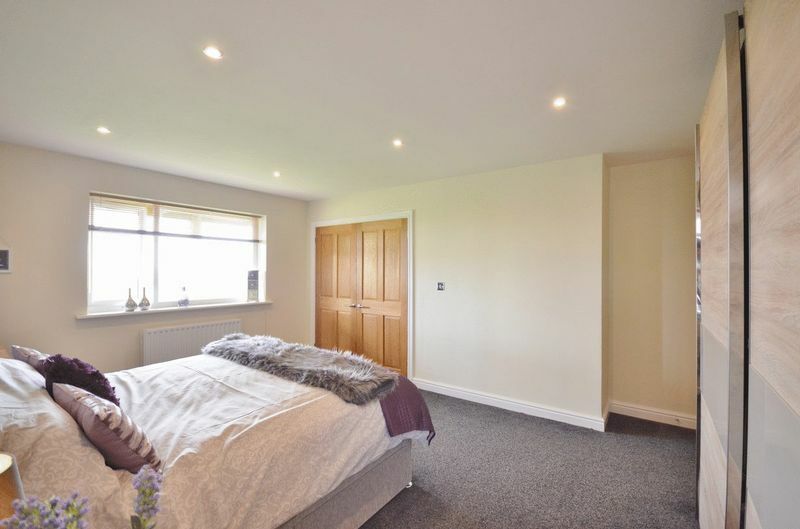 Double bedroom with sunken ceiling spotlights, single panel radiator and a uPVC double glazed window. 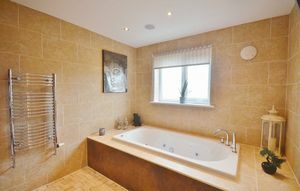 Beautiful bathroom boasting a spa bath with mixer tap, shower attached and set within a raised tiled surround. There is a designer, circular glass wash basin with mixer tap on a vanity unit. Connections for a flat screen wall mounted TV. 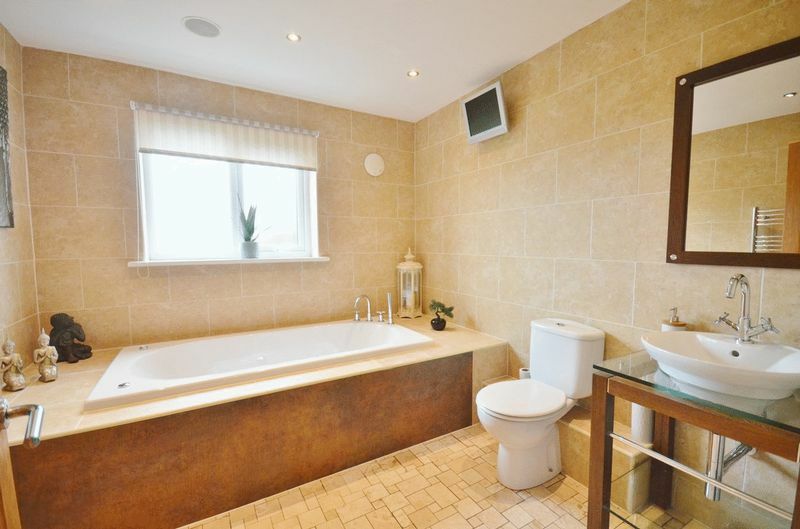 WC, chrome heated towel rial, fully tiled walls, tiled flooring, sunken ceiling spotlights, extractor and a uPVC double glazed frosted window. 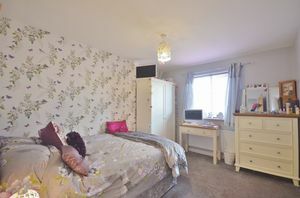 The utility room is conveniently located on the same floor as the bedrooms which is ideal when doing the laundry. There are base units , worktop and a stainless steel sink with drainer board and mixer tap. Tiled splashbacks, tiled flooring, sunken ceiling spotlights, houses the Baxi combiler and there is a uPVC double glazed window. Pitched roof garage with power points, lighting, pedestrian door and an electronic door. 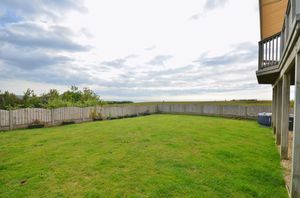 The garden enjoys a well maintained garden which is laid to lawn and fenced around. There are power points, and a water supply. 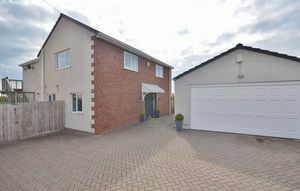 A the front there is a large drive providing plenty of off street parking and the drive leads to the garage.